Late last year and early into this year, I was in a frenzy to get our bedroom into tip top shape. That includes upgrading our full-sized bed – yes, full! – into a queen, buying a bed frame and installing floating shelves to save space in our tight quarters. This involved multiple trips to and from IKEA to either buy things or exchange them for something else. Whew! Wandering IKEA and comparing the MALM bed frame next to the BRIMNES and picking up some LACK shelves of three different lengths can make any shopper hungry. And knowing hot dogs, meatballs and cinnamon rolls await me at IKEA, I knew I would never go hungry. In my last trip spotted a candy display in the marketplace. The colorful display drew me closer for inspection where I discovered a pick-and-mix kind of setup. 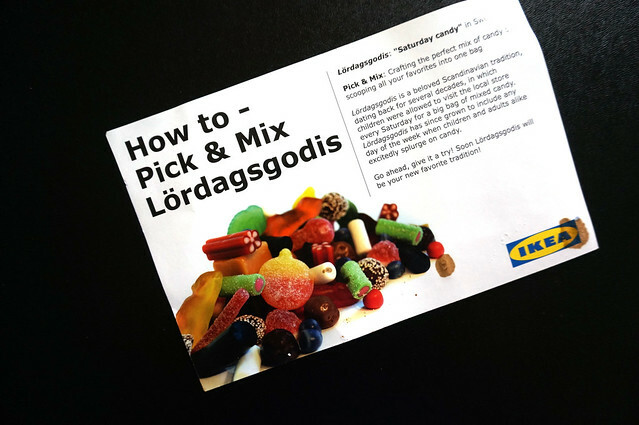 Pinks, greens and all the colors of the rainbow were represented in a choice of 32 types of candy in with an English names as well as Swedish. 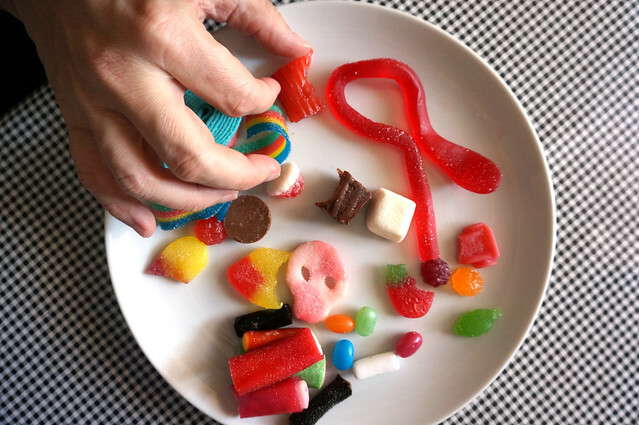 Most of them like the rainbow rolls (a sweet and sour tape-like candy) and raspberry hearts were familiar but there were some I had never seen before. Swedish skulls, rambo strawberry, Swedish beans and lemon rhubarb logs – whut? I had to get at least one of everything. 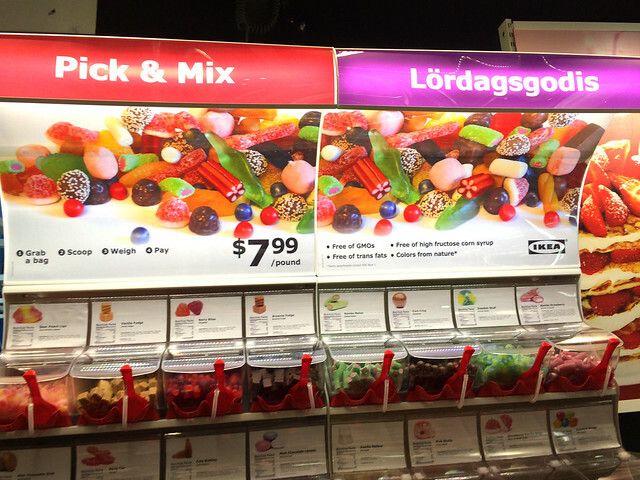 IKEA pick-and-mix candy costs $7.99 a pound. 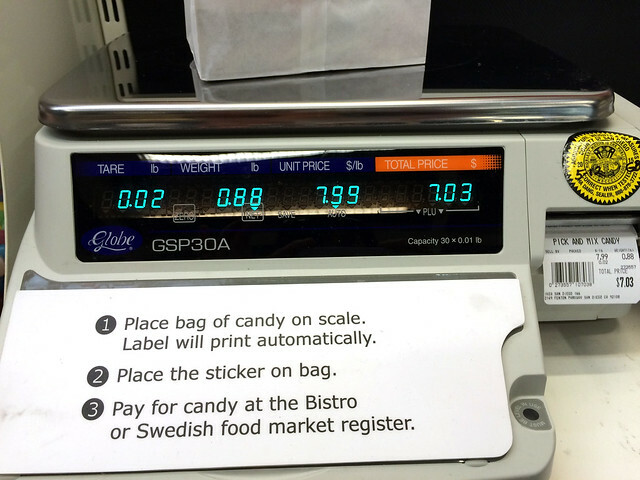 The process is simple: pick your candy, weight it and a printer automatically prints out the price. In case you’re wondering, one of everything (with the exception of small things like jelly beans) racked up to be $7.03. 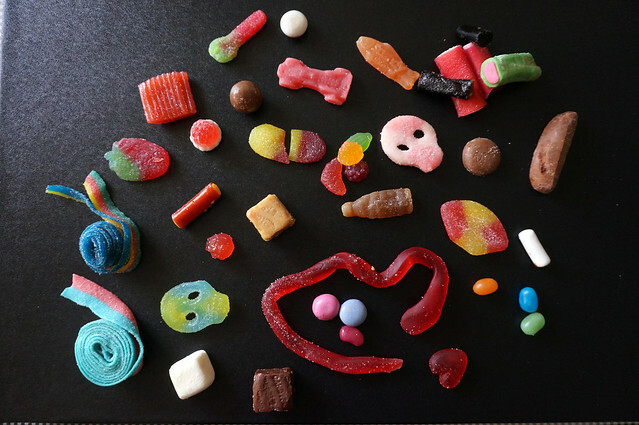 Laid out, the candy is very pretty. 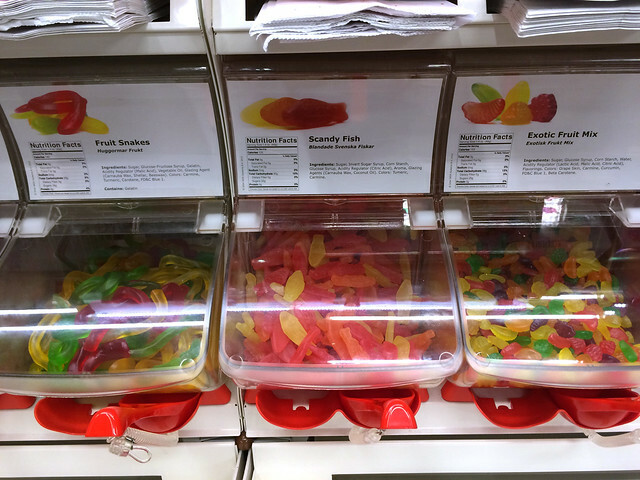 My favorites were anything fruit related like IKEA’s Scandy fish (a riff on Swedish fish), fruit snakes and sour tongues. Chocolate and chocolate-coated anything was an entirely different matter. It was grainy and not the best chocolate if it was even “chocolate” at all. 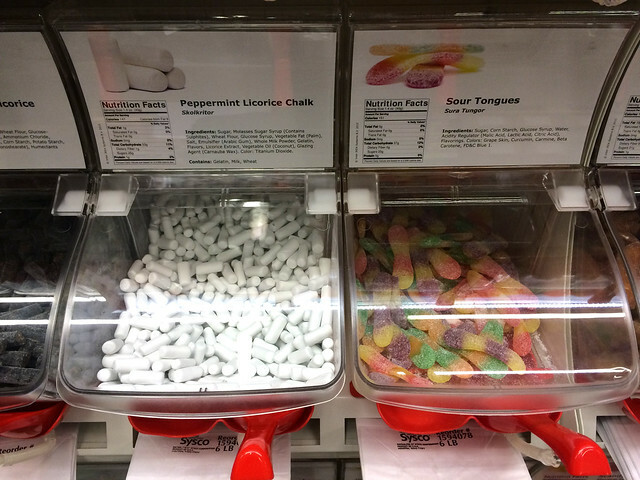 The worst of the entire bunch is the peppermint licorice chalk. Let that flavor combination sink in. It’s exactly what you think it tastes like. It’s a lot of candy for two adults to get through! I can’t imagine what kind of sugar high kids get from this stuff. In terms of shapes and sizes, the skulls were the cutest. 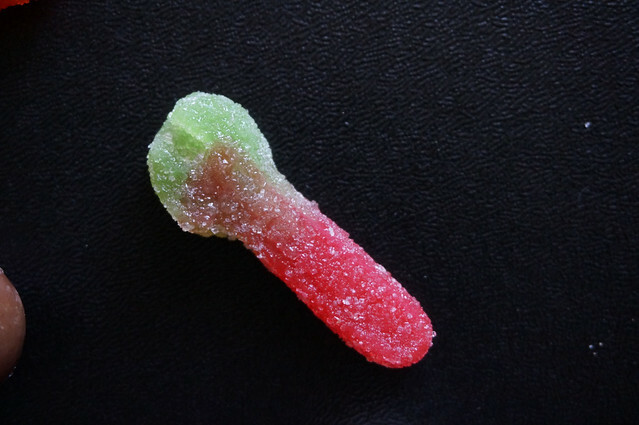 But IKEA’s so-called sour strawberry apple wrench looked oddly phallic. I think I notch in the bulbous part of the candy would have helped the wrench shape come through. 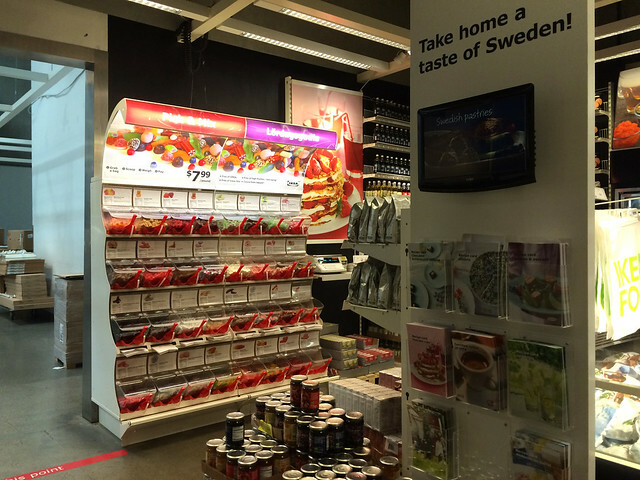 If you’re looking to check out some candy yourself, find you can find the display at the only IKEA in town (Mission Valley). I was here recently just to get my grubby hands on their insanely good sweet oat crisp cookies. While I spied the candy I didn’t even give it a second glance since all thoughts were on those delicious little cookies. If I had bothered to look, I bet I would have gotten some candy skulls – so cute! Those wrenches though… oh man. Definitely did not think “wrench” upon first glance. Those cookies are so good! !